Apple is famous for its patent lawsuits against companies like Samsung Electronics, so Razr’s “designed by Razr in California” statement seems to be a good one in which the fruit company could claim some form of “brand-stealing.” At the same time, however, Apple doesn’t have a hold over the “designed in California” phrase: Apple did file a patent for the “designed by Apple in California” phrase to be used on computers and “handheld digital devices for internet access…and for sending, receiving, and storing telephone calls.” Apple first used the design statement in 2000, according to the patent filing obtained by Apple patent tracking site Patently Apple. 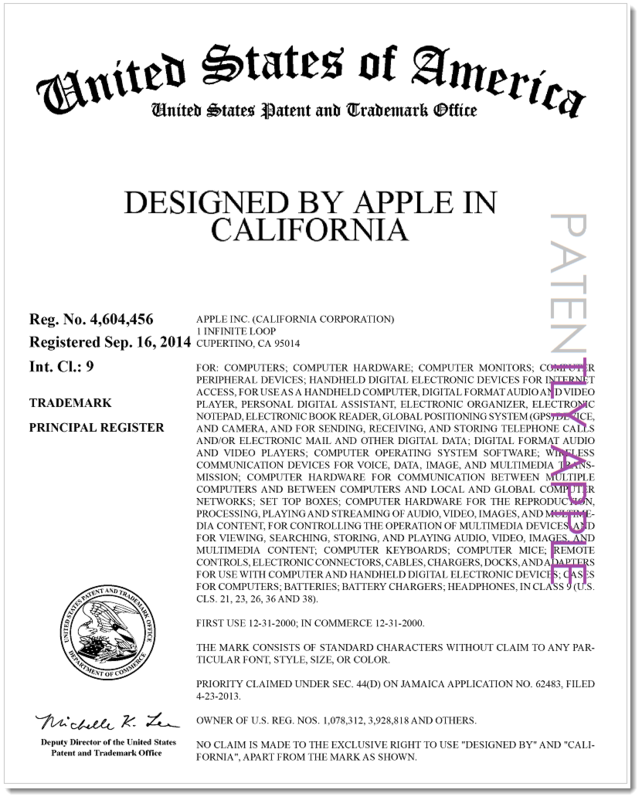 At the same time, however, the patent filing states that “No claim is made to the exclusive right to use ‘designed by’ and ‘California,’ apart from the mark as shown.” In other words, “designed by” and “California” are common words that can’t be restricted to just Apple. Due to this patent loophole, however, Razr could very well get away with its “designed by Razr in California” design statement. And yet, at the same time, it’s not a surprise that Apple has designed this phrase to set its products apart from all other rivals. I’m not saying that Apple has been guilty of patent infringements itself here and there with each passing year, but having a device design statement that mimics Apple’s design statement used for the last 9 years is nothing short of suspicious and invites criticism and Apple’s patent attorneys. It could be said that I’m making a mountain out of a mole hill here, but if you are convinced I’m making more out of this than what’s there, ask yourself the following: if Razr is doing something that’s common to all, why is it that there isn’t one single Android Wear smartwatch that bears a similar label? The G Watch Urbane says “made in Korea”; other Android Wear smartwatches have labels of their own ( ), but none of them say “designed by x [company] in [country or state].” Android Wear manufacturers, knowing Apple’s desire for a patent lawsuit, wouldn’t take the risk. Then and again, with the limited publicity surrounding the Nabu smartwatch, Razr wouldn’t necessarily be high on Apple’s patent lawsuit list. Or, maybe Apple’s waiting for an opportune time. The fruit company’s actions are always carefully planned. 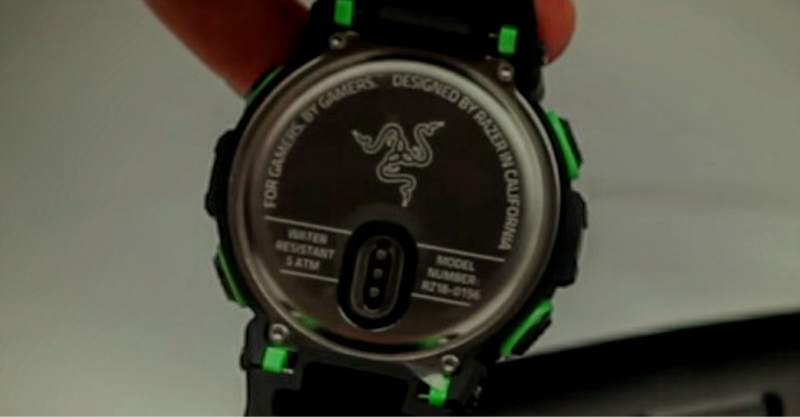 Razr may have designed its Nabu smartwatch to be an Apple Watch for gamers, but Apple may file a patent lawsuit – at which point, it’s Game. Over.